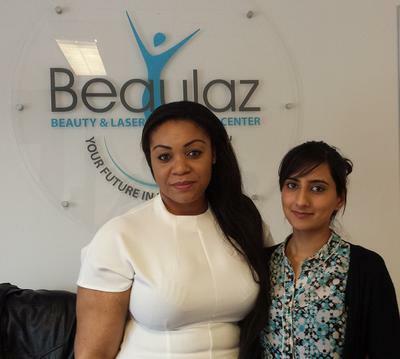 Quality experience at Beaulaz Beauty School in Birmingham. I think this course is brilliant, I think everything is well covered. Within our first day we covered theory and it went in depth. Without having even used the machine I was able to learn about how the laser treatments worked. You find that you are able to learn more knowledge about how the skin will respond to the laser machine. I think that the 5 day laser course has worked brilliantly for me, especially as I am travelling from far. I also run my own clinic, so finding just 5 days to give up work was a better option for me. I found that the tutor was very good and made the course very easy, she ensures she talks on your level. She does not treat anyone as more experienced than others, she breaks it down for everyone. She does not just teach from the paper she also brings in information from her own experience, and you get an insight into the real beauty and laser field. I would definitely recommend the college to others. Firstly because the prices are very reasonable. The quality of the information you get is informative and you feel confident to work as a professional. I want Beaulaz to maintain this standard and keep doing what you are doing. I thoroughly enjoyed the course. 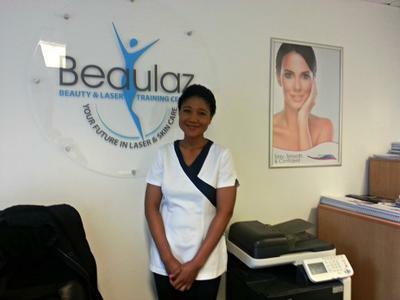 Birmingham Beauty & Laser School Great Tutor! 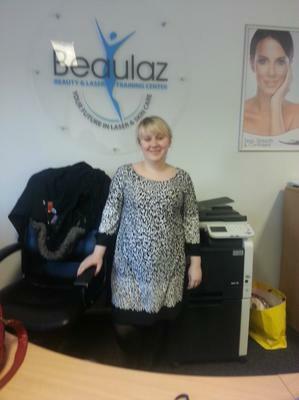 I must say the beauty and laser course training at beaulaz has been fantastic! There are not many of such places around. My tutor was the best and very supportive. The course was quite intensive. I must admit my tutor is very experienced, very knowledgeable and I did learn a lot from the course. I had tried doing the course elsewhere and I had a hard time finishing the course. The tutor has been incredibly helpful. There was a tremendous amount of support that I couldn't get anywhere else. The main thing is at least I could finish. I did my NVQ level 2 at Carlton institute but could not finish it as there was no support. With Beaulaz they made sure I finished the course and provided help and support all the way. I am now going to collect my certificate after 8 weeks on the course. Fantastic training centre and I highly recommend them. During my time on this course i found the support really helpful and Talha always made her self available for any extra help or questions that needed to be answered for everyone no matter what time or day, she definitely is one of those rare tutors that goes above and beyond to help her students, a tutor with a true passion and love for what she does. I am very happy with this course and will be looking forward to coming back and booking onto the advanced beauty level 4 course. Communication from the college has been very good from the start, and certainly inspired confidence in the course. People called when they said they were going to and were able to answer my questions clearly. I believe I choose the right course for me, although it has been very challenging to work full time during the week and travel from Scotland to Birmingham. Materials were provided at the start of the course, and information about ordering tunics was given ahead of the time the ground rules were clearly outlined and we signed the college contract. I cannot praise my teacher Talha enough. She has really gone far out of her way to help me and the other students. She was very clear with us at all times and we always knew that we could ask her questions at the end of the class. All hand outs were delivered in class tutor was helpful. Opportunities for two way communication was provided in the class. Also a lesson plan of the work was given. Yes I would certainly recommend to a friend to certainly do this course. Better travel for further courses than in Scotland, as the course is customised to the individual’s needs. I would be more then happy to come back and do another course with this college. Many thanks to Talha for her kindness and support . It was so much appreciated. I studied in Birmingham the fast track level 4 laser and IPl course. My assessor was lovely and her knowledge of the beauty industry was amazing. She was really helpful. Her experience and style was brilliant as well and she really believed in me and helped me. During my assessment every possible help and support provided by my assessor. 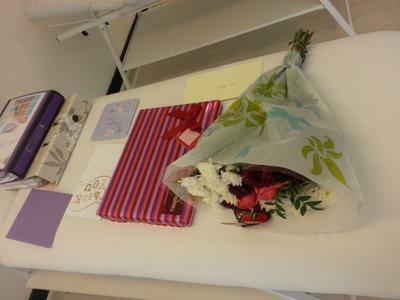 Beaulaz is a very professional beauty training college and I would recommend the course and Company. I travel from a long distance just for this course and it was really worth it and saved my time doing fast track. Assessment procedure was well explained and was easy to understand. I have really enjoyed the course and I have learnt a lot. The course has helped me get a job with the Company Skin and I know look forward to an exciting new career in Aesthetics :) Thank you all. Well done . During my course I have learned all relevant information which was provided by my teacher including refunds route was applied to me because I was new student without any prior experience , I have learnt about induction and all books been provided to me , I am really surprised and amazed about quality of teaching support by my course tutor. The course was very helpful and teacher was open minded during training course . the teaching methods were simple because there were practical demonstration by tutor , supervision of students practicing in group were done thoroughly. Group discussion, question answer session and assignments and homework questions were given, fair and comfortable environment provided. Equal time to speak to teacher provided. Furthermore I am impressed by health and safety standards by the company and all laws and regulation were thoroughly explained to high standards. our learning style was supported by proper guidance and support by talha and gave us extra time for problem discussion and practice /question answers. Lesson plan was brilliant and she worked hard to help one by one. Full practice actually increased confidence to work professionally and good opportunities s provided . I have lot of experience, finally I am very happy with my teacher and recommended people I know or have interest for laser course. Thank you talha and beaulaz . First time I met my beauty therapy trainer, Talha for electrolysis consultation and so satisfied that given deposit for two courses . My confusions regarding course were all cleared up. One to one support provided by her which enabled me to do electrolysis with confidence and speed. Communication was done professionally with with through answers. Ample practice opportunities were provided which re-boosted my confidence. Every one was treated equally and no discrimination allowed because of her kind nature. Her teaching and attention to individual needs were outstanding with friendly manners. Assessment techniques were brilliant which enabled me to complete my course on time. She is brilliant teachers who satisfied my trust for knowledge attainment and I came back to beaulaz and did L4 and booked my interest for advanced electrolysis and will strongly recommend Talha as knowledgeable and best teacher so come and do course with beaulaz . Thank you very much Talha for support ,good teaching and kindness for u students .